The pipe specialists at Morris Industries, Inc. are proud to offer the best pipe beveling services available in the Meriden area. Our over 60 years of experience in providing premium pipe beveling has made us the go-to source for all pipe fabrication needs. Our pipe beveling and fabrication services are unparalleled in the Meriden area. Since we started in 1958, Morris Industries, Inc. has become one of the most trusted resources for pipe beveling services not only in Meriden but in the entire northeast region. We can even offer pipe beveling in Meriden that is done to our customers’ exact specifications. 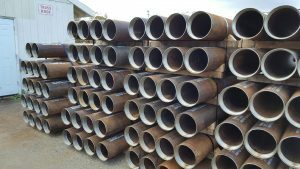 Our emphasis on customer service and satisfaction makes Morris Industries, Inc. your best option for pipe beveling services in the Meriden area. For more information regarding the pipe beveling services that we have to offer to the Meriden area, please call Morris Industries, Inc. today at 860-349-1777. You may also reach out to any of our pipe beveling specialists by simply filling out the easy-to-use form on this page. Pipe beveling is a service that we offer that can be used in a number of instances. For one, pipe beveling can be used to prepare the ends of the pipe for welding applications. Pipe beveling can also be used for smoothing out the cut ends of a pipe for safety and aesthetic reasons. At Morris Industries, Inc. we offer our affordable services to customers throughout the Meriden area. Our team can work with your budget to provide you with the services that your project needs without going out of your price range. To get started with the pipe fabrication services that we have to offer to the Meriden community, please call Morris Industries, Inc. today at 860-349-1777. Visitors can also get in touch with one of our knowledgeable experts by completing the online request form on this page.